Here is a typical scenario: you go to the ATM to get some cash to pay for your groceries, but to your surprise, your bank account has been frozen and you cannot complete your withdrawal. Panic sets in. How are you going to pay for your groceries, gas and other basic needs? Rest assured, there are solutions to lift the freeze code from your bank account. The first thing to do is to determine who has applied a freeze code to your bank account. It may be your financial institution or another creditor to whom you owe money. If you have tax debts, it is often the Canada Revenue Agency (CRA) or Revenu Québec for reasons that we will explain below. In the vast majority of cases, the creditor in question will not have given you a warning that he is trying to freeze your bank account. You will not be warned to prevent you from rushing to your bank to withdraw your money. It’s frustrating, but logical. If you owe money to your bank, especially if you have credit card debt, it is quite possible that it is behind the freeze code on your account. In the fine print of several credit card agreements, it is explained that the bank may freeze your account and enter money directly if you are late on your minimum payments. If you have tax debts with Revenu Québec or the Canada Revenue Agency, it is quite possible that your bank account will be frozen accordingly. Both income agencies are regularly behind such foreclosures because, unlike other creditors, they do not need a court judgment to freeze your bank account. A simple letter to your financial institution is sufficient. From experience, Revenu Québec and the CRA will only freeze your bank account if you do not cooperate (if you do not respond to their letters). They use this tactic to give you an ultimatum and force you to communicate with them. Any of your creditors with payment arrears may try to get a judgment against you in court and then use that same judgment to have your bank account seized. This is not a simple or common procedure, but it can happen if the creditor has made many attempts to recover without success. 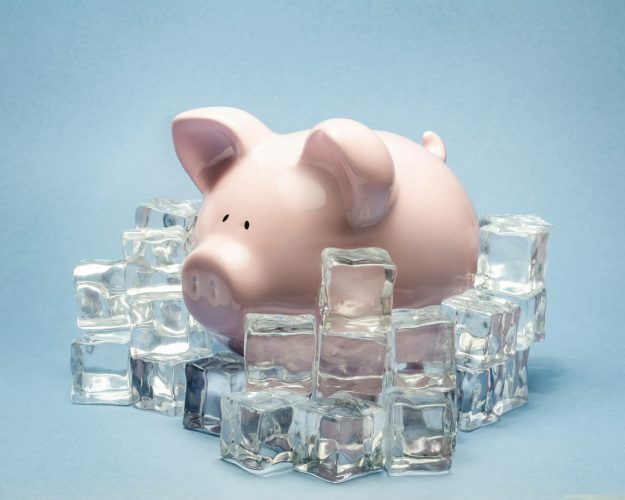 What to Do If Your Bank Account Has Been Frozen? The first step is to immediately open a new bank account in another institution. You should not choose a bank where you owe money for obvious reasons. It is also good to remember that a bank cannot refuse you the opening of a bank account. Then, once the new account is open, make sure your payroll and any other automatic deposit is made to this new account (not the old frozen account). You will have to act quickly because these changes may take a few days to take effect. Now that you have regularized your situation and are able to do your grocery shopping, it is important to find a permanent solution to the problem. Most creditors will agree to remove the freeze code from your bank account if you contact them and enter into a payment agreement. Most of the time, the bank account freeze is used to get you to react and open discussions. Revenu Québec and The Canada Revenue Agency are particularly willing to make payment arrangements that will allow you to pay a reasonable monthly fee. A consumer proposal is a legal procedure that let you conclude a repayment agreement with your creditors. The consumer proposal offers a wide range of legal protections including the lifting of seizures (seizure of bank accounts and seizure of wages) as soon as it is filed. You will also be protected against future seizures. By filing a consumer proposal, you can significantly reduce the total amount of your debts and spread your payments over a period of up to 5 years, without interest. Only an Licensed Insolvency Trustee such as Pierre Roy & Associés may file and administer a consumer proposal. If your situation is urgent, we can meet you quickly and free of charge in one of our multiple offices in Quebec within 48 hours. Of course, personal bankruptcy is a last resort that must be considered only after all other options have been studied. However, for many people (more than 24,000 in Quebec in 2016), this is the right solution to make a fresh start, debt free. Bankruptcy is a right and recourse that you can use to protect yourself from your creditors. By filing for bankruptcy, seizures against you will be suspended and your bank account will be unfrozen. Your creditors will also stop harassing you and will have to contact your trustee from now on. You can finally find peace of mind. Any questions? Contact us at no cost, without obligation and in all confidentiality: 1 (877) 796-3427.